On November 11th, the team here at Magnet Expert will be partaking in a charity skydive for Nottingham Children’s Hospital to commemorate the company’s 10 year anniversary. This marks a real milestone for the company, and we thought what better way to celebrate by giving back to the local community. 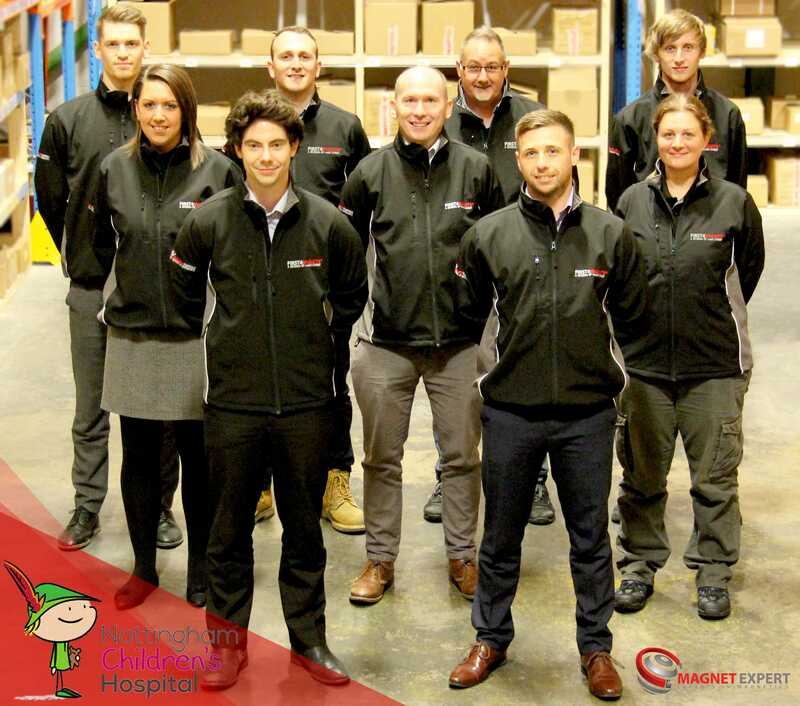 Magnet Expert are passionate about charity and donating to local causes by raising money in many ways, with donations to the Lincolnshire and Nottinghamshire Air Ambulance, homelessness charity ‘Crisis’ and raising money for Red Nose Day to name a few. This time, we wanted to go that extra mile, and we feel that a skydive would really go somewhere to help donating a significant amount for such a special cause. The paediatric doctors and nurses work tirelessly to care for over 40,000 babies, children and young people from across the region every year, and Nottingham Children’s Hospital are looking to raise £4 million in the next 4 years as part of ‘The Big Appeal’. This money will go towards ensuring the hospital is equipped with the very best x-ray and scanning facilities. This equipment will improve diagnosis and treatment, as well as reducing waiting times and hospital stays. Nottingham Children’s Hospital is close to our hearts, with it being a local charity, and many of the staff having young children and members of the team having first hand experience of the amazing work that the doctors and nurses do. We are delighted to have local support from Winthorpe Primary School, who have helped raise awareness and generate donations for the cause, so we want to say a big thank you to all the staff, children and parents who have raised £85 to help towards our target! Any donations are greatly appreciated, we would love to have achieved our target by the time we take the to skies! You can donate via the following link https://www.gofundme.com/skydive-for-children039s-hospital. Thank you all for your support in advance, wish us luck!